The University of Kansas appears in our ranking of the 10 Best ABA Master’s Degree Programs in the West. At Dole Human Development Center, the College of Liberal Arts & Sciences delivers the BA in Applied Behavioral Science for 200+ University of Kansas undergrads intrigued by intervention methods to improve social functioning. Directed by Dr. David Jarmolowicz, the 120-credit degree maintains a 17:1 learner-faculty ratio for BCaBA preparation in six specialties: Adults with Disabilities, Early Childhood, Research Foundations, Community Health, Juvenile Justice, and Organizational Behavior. The MA in Applied Behavioral Science follows a 30-credit, ABAI-accredited Lawrence sequence with a 100 percent BCBA pass rate after 1,500 hours of practicum, including the Edna A. Hill Center’s Sunnyside Toddler Program. Since 2015, the Online MA chaired by Dr. Thomas Zane has educated busy working adults with 700-level Blackboard courses like Behavioral Assessment and thesis research. Led by Dr. Florence DiGennaro Reed, the 49-credit Ph.D. in Behavioral Psychology immerses scientist-practitioners in four years of Lawrence seminars, editorial critiques, exams, and dissertations for BCBA-D certification. Partnered with KU Medical Center, the Joint PhD-MPH Program is America’s first such doctorate emphasizing disability education and prevention in 88 credits. There’s also a 13-credit Autism Spectrum Disorder Graduate Certificate online. The University of Kansas originated on July 3, 1855, when Territorial Governor Andrew Reeder commissioned a public common school system before the 34th state’s Union admittance. Officially chartered in 1863 by Governor Thomas Carney, it finally welcomed an inaugural co-ed class of 55 to Lawrence’s Hogback Ridge in Fall 1866. Fourteen years later, the Board of Regents voted to create the School of Medicine. During the 1890s, the Legislature authorized $50,000 to begin shaping today’s 130-building Douglas County campus. Fast forward to 1993 and the KU Edwards Campus was added in Overland Park. 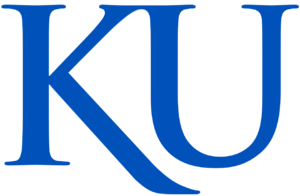 By 2000, the University of Kansas was accepting the Society for Advancement of Behavior Analysis’ Outstanding Contributions Award. In fact, Kansas ranked fifth in the Journal of Applied Behavior Analysis in 2004. Budgeting $141 million, KU now educates 31,784 Jayhawks from 49 countries with 80 percent retention. The U.S. News & World Report ranked Kansas the 129th best university, 98th top value, 87th best for vets college, 50th best psychology school, and 56th top medical center. On Niche, KU boasts America’s 48th best student life, 84th best campus, 129th top psychology courses, and 139th most qualified professors. Times Higher Education placed the University of Kansas within the globe’s 400 best overall. Forbes picked KU 234th nationally with the 120th most impactful research. The Center for World University Rankings positioned Kansas 110th for alumni employment and 146th for patents received. In 2018, the University of Kansas Health System earned the Dr. Bernard Birnbaum Quality Leadership Award. Washington Monthly declared KU the 67th best Peace Corps school and 112th top faculty. PayScale also recorded the 289th biggest 20-year return of $374,000 for Kansas alumni. On April 5, 2015, the Higher Learning Commission of the North Central Association (HLC-NCA) continued Level VI accreditation for the University of Kansas after a successful 10-year institutional evaluation visit under its 18th chancellor, Dr. Douglas A. Girod, an ACS Fellow and Meritorious Service Medal recipient. Located 550 miles northeast via Route 36 in Chicago, this mega 19-state Midwest accreditor is authorized by the U.S. Secretary of Education to check the academic standing of KU’s 142 baccalaureate, 131 master’s, 101 doctoral, and 49 certificate offerings. Particularly, the College of Liberal Arts & Sciences has maintained Ph.D. accreditation from the American Psychological Association (APA) since 1949. The Joint PhD-MPH Program has Council on Education for Public Health (CEPH) approval through 2025. The Department of Applied Behavioral Science faces another Association for Behavior Analysis International (ABAI) review in 2019 too. Attending the University of Kansas is classified “moderately difficult” by Peterson’s though 13,576 of the 14,538 Fall 2017 applicants were victorious for 93 percent acceptance. First-year Jayhawks flying into the BA in Applied Behavioral Science must pass a high school diploma or the GED equivalency exam. One-third of freshmen enter with Advanced Placement exams scored “3” or greater. Assured admission to the College of Liberal Arts & Sciences requires a minimum 3.0 GPA, 21 ACT, and 1060 SAT mark. Undergrad transfers are guaranteed spots with 24+ regionally accredited credits and overall GPAs above 2.5. Proving English proficiency requires a “B” English Composition, 590 SAT Reading, 22 ACT English, or 79 TOEFL iBT grade. Incoming MA in Applied Behavioral Science cohorts typically have bachelor’s GPAs of 3.0, but probation is available for 2.75-2.99. Twelve credits of psychology credits are prerequisite. On average, graduates present a 154 Verbal and 151 Quantitative GRE score. The Joint PhD-MPH Program also prefers two years of health care experience. The University of Kansas keeps freshman admission open until February 1st with a November 1st priority deadline. Department of Applied Behavioral Science transfers apply by January 9th for Spring, May 29th for Summer, and August 13th for Fall starts. On-site or Online MA cohorts are considered until December 15th yearly. The Joint PhD-MPH in Behavioral Psychology enforces August 10th, January 15th, and May 10th deadlines. Accordingly, interested students file the KU Application online with the $40 ($65 if graduate) fee or military waiver. Official transcripts are mailed to 213 Strong Hall at 1450 Jayhawk Boulevard in Lawrence, KS 66045. Use Educational Testing Service code 6871 for score reports. Supplemental items include the three qualified recommendations, personal statement, academic writing sample, faculty mentor agreement, and curriculum vitae or résumé. Inquire further at (785) 864-3911 or kuinfo@ku.edu. For 2018-19, the University of Kansas is charging full-time Sunflower State undergrads $10,182 annually. Non-resident BA in Applied Behavioral Science majors pay $26,393 per year. Studying part-time incurs $339 and $879 per credit respectively. Mandatory fees cost $485 each semester. Living at the Lawrence campus’ dorms like Ellsworth Hall adds $6,500 to $14,500 for room and board. KU budgets $1,076 for texts, $1,892 for transport, and $1,188 for personal supplies. Annual bachelor’s attendance averages $25,306 in-state and $41,074 out-of-state. The College of Liberal Arts & Sciences currently bills Kansans $419 and non-residents $976 per graduate credit. MPH courses cost slightly more at $421 in-state and $989 out-of-state by credit. Online MA cohorts always spend $700 per credit for $21,000 total though. According to the NCES College Navigator, the Financial Aid Office on Iowa Street disburses $93.86 million yearly for 60 percent of KU Jayhawks to soar with median assistance of $8,107. General funds include the Chancellor Scholarship, Traditions Scholarship, Crimson & Blue Scholarship, Rock Chalk Scholarship, Hixson Opportunity Award, Cleland GLBT Scholarship, Phi Theta Kappa Scholarship, and Transfer Renewable Scholarship. The Midwest Student Exchange Program takes $11,164 off tuition each year with cumulative GPAs over 3.25. BA in Applied Behavioral Science majors can acquire the $500 Helen Jedlicka Mandigo Scholarship or $1,500 Harley S. Nelson Family Scholarship. The Todd R. Risley Student Award gifts $500 to PhD in Behavioral Psychology candidates. Graduate research assistantships provide tuition payment and biweekly wages of $720 to $880. Federal Pell and FSEOG Grant amounts are calculated with FAFSA forms coded 001948. Locals also pursue the Kansas Comprehensive Grant, Foster Child Education Assistance Program, and Dependents of Deceased Public Safety Officer Waiver. Find more about the University of Kansas at the Department of Applied Behavioral Science website.